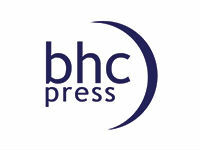 BHC Press is a hybrid publisher. They have several options for author financial participation in the publishing of their books. Generally, we have observed very good design and editorial work on the books which they have published. They also have a very solid marketing process which matches the book's potential. Our major concern with BHC is that their website does not clearly state that they are a hybrid or author participation publishing service. Our Best Practices calls for any publisher which requires financial participation by the author to set forth that fact on its website. We can not fully recommend BHC Press because they do not disclose the costs associated with publishing a book through them on their website. However, we have no problem with the services they provide (if the costs are reasonable).